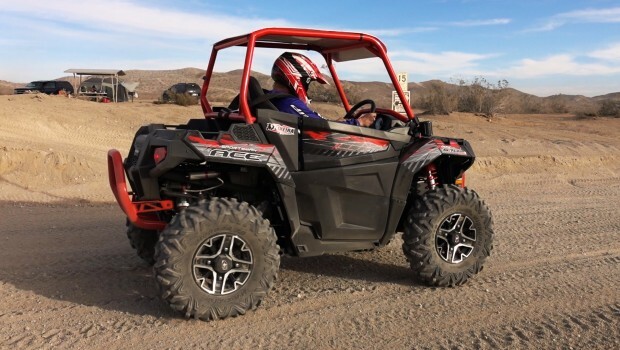 While the all new 60” wide, 2017, Polaris Ace 900 XC has taken over as the single-seat king for wider trails, the original 48” wide chassis used on the Ace 320, 570, 900, and 2017 Ace 500, makes them rulers of tight woods and narrower ATV trails. 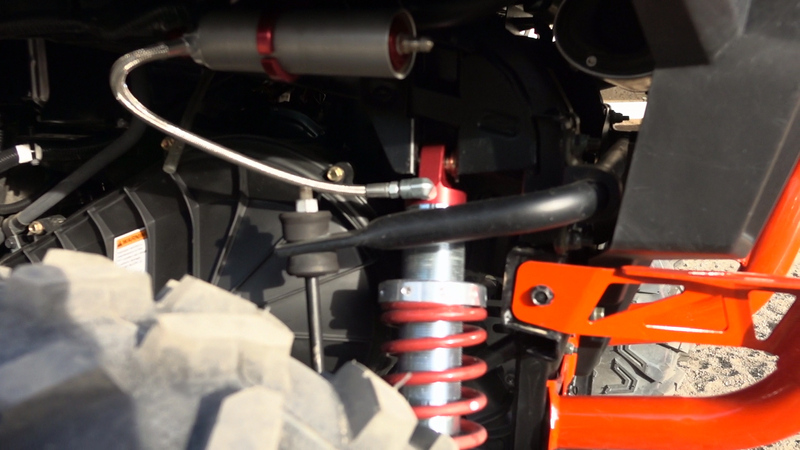 For those looking for ways to improve your narrower track, McPherson Strut-equipped Ace for the rigors of aggressive off-road driving or racing, we at UTV on Demand teamed up with Teixeira Tech to build a better performing and more durable Ace. For our project, we’re building up a 2015 Ace 570 SP, but the modifications and upgrades should have similar benefits on the other 48” models. Teixeira Tech’s cage is constructed of 4130 chromoly, adding strength without adding unnecessary weight. Teixeira offers an accessory roof for their cage, which hangs down in the front helping keep the sun out of your eyes. With the generation 1 Ace chassis designed a bit more for recreation than high-performance, our first goal was to increase durability for aggressive driving. 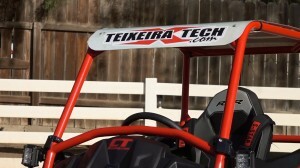 To add strength and rigidity to the chassis, a Teixeira Tech cage was installed. Rather than using mild steel, Teixeira Tech’s cage is constructed of 4130 chromoly, adding strength without adding unnecessary weight. Teixeira offers an accessory roof for their cage, which hangs down in the front helping keep the sun out of your eyes. We, unfortunately, put Teixeira’s cage to a small test, tipping it over in a tight, off-camber turn and slamming the cage into a berm. The cage and car held up fine with the exception of a few bumps and bruises to the bodywork and a broken accessory light. 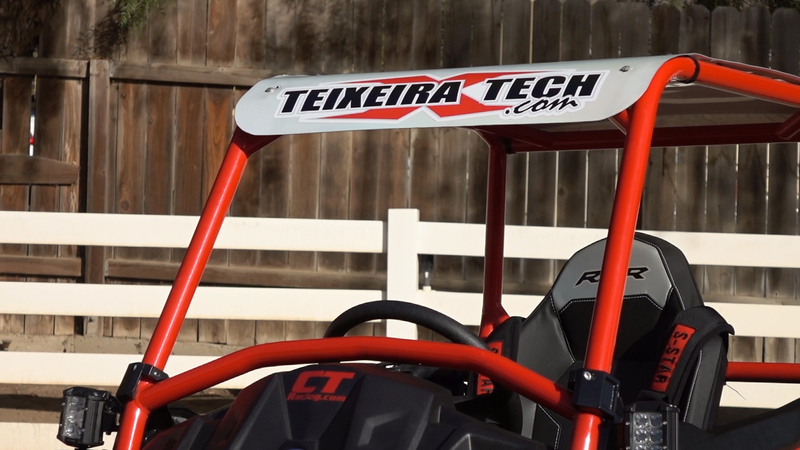 Lacking the strength and rigidity of a dual-A-arm front end, Teixeira Tech developed a key few front-end parts with the help of the racers from Team UXC/Factory Polaris. First, Teixeira’s front A-arm brace is designed to reduce unwanted flex and reinforce the A-arm’s mounting points. Teixeira’s XGC, (X-treme ground clearance) A-Arms are constructed of larger diameter tubing to increase rigidity. Their tig-welded, 4130 chromoly construction is designed to add strength without adding unnecessary weight. Their width and geometry are kept stock so they don’t require different shocks, nor do they affect drivetrain reliability. Teixeira’s XGC, (X-treme ground clearance) A-Arms are constructed of larger diameter tubing to increase rigidity. Their tig-welded, 4130 chromoly construction is designed to add strength without adding unnecessary weight. Their width and geometry are kept stock so they don’t require different shocks, nor do they affect drivetrain reliability. 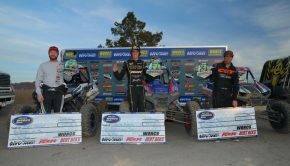 the McPherson Strut front end has proven to be a weak link in rough GNCC races. For aggressive sport driving, Teixeira Tech’s A-arms and A-arm brace are worthwhile upgrades. The way we drive, we consider them mandatory. 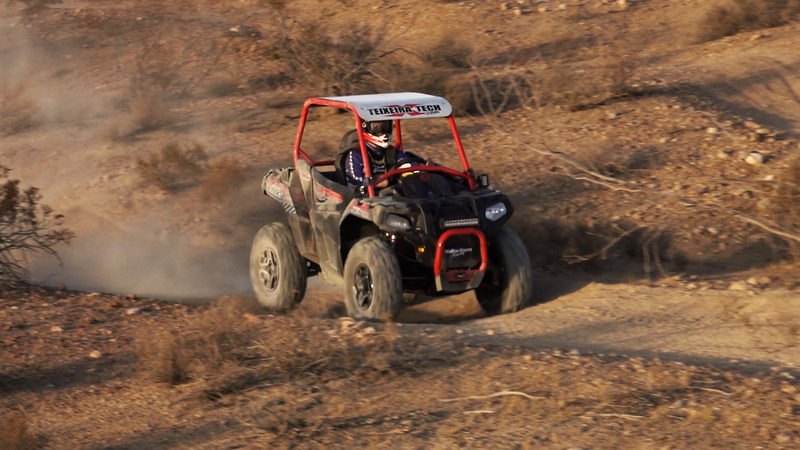 The wider, usable ground clearance provided by Teixeira’ XGC A-arms helps you more easily clear trail obstacles. While they don’t impact handling, the McPherson Strut front end has proven to be a weak link in rough GNCC races. We drove our Ace hard for several days with no front-end issues to report. For aggressive sport driving, Teixeira Tech’s A-arms and A-arm brace are worthwhile upgrades. The way we drive, we consider them mandatory. When Rob Ray drove the Ace 320 back in 2014, he felt that the stock shocks worked decently at absorbing bumps. Allen Knowles felt the 2016 900 SP’s suspension hammered his lower back with the extra velocity its engine provided. 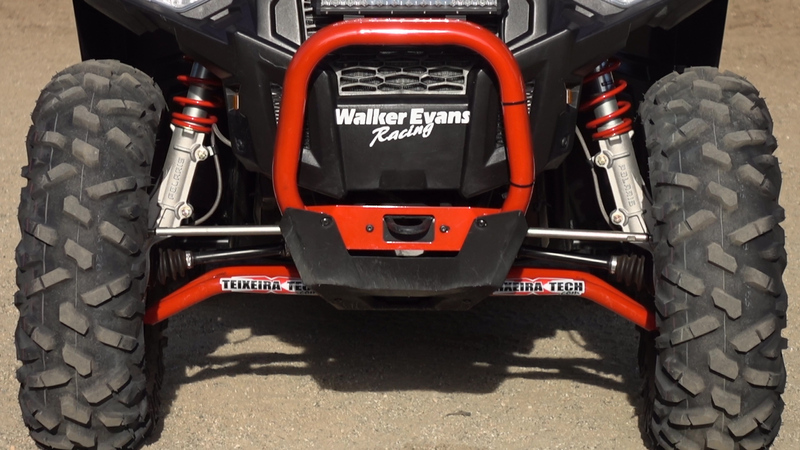 To improve ride quality, a set of Walker Evan’s shocks and struts were installed. As stock replacements, suspension travel numbers are unchanged, although they feature a number of improvements. 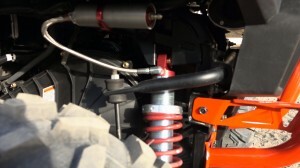 To improve ride quality, a set of Walker Evan’s shocks and struts were installed. As stock replacements, suspension travel numbers are unchanged, although they feature a number of improvements. The two-inch bodies feature larger 5/8” shafts rear and ¾” front. Internal reservoirs front and external, remote reservoirs rear improve cooling for aggressive driving. The rear reservoirs allow for the addition of external compression damping adjustment. 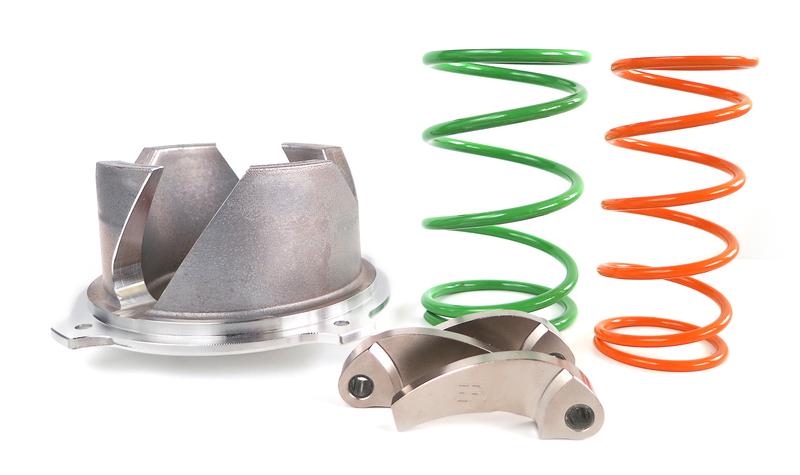 Their less expensive non-reservoir equipped versions feature only spring preload adjustability. Walker Evans shocks are completely rebuildable and serviceable. Off the shelf, they come setup for aggressive recreational driving, although Walker can do a custom setup if needed. The Walker Evans suspension was a big improvement for the Ace. Small bump absorption was improved somewhat, although Allen felt the shocks’ greatest asset was their ability to filter jarring impacts from square edged bumps and holes in the trail. The reduction from jarring impacts was also noticeable on landings. We were driving off a 2 ½ foot ledge onto flat ground at high speed with a plush touchdown, no bounce, or bottoming sensation. While performance in high-speed chop is improved, push it too hard in deep whoops and you quickly reach the limits of the chassis. Still, the difference in ride quality was pretty dramatic. We were going faster and doing things we would have never tried with stock shocks. Walker Evans Suspension was a big step forward. 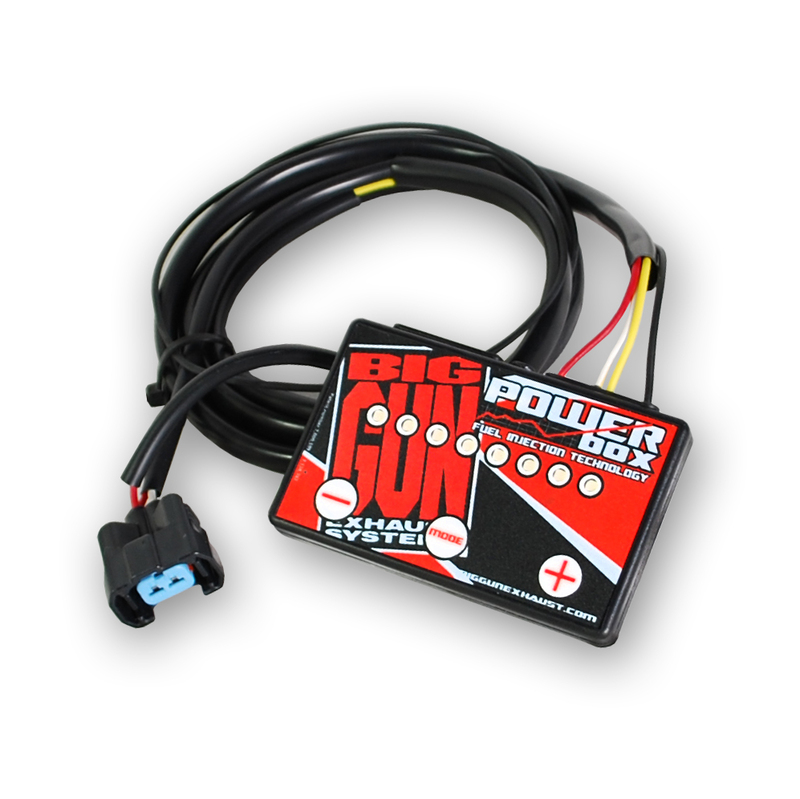 We’d consider it the starting point in improving performance for racers and casual drivers alike. As a machine you’re strapped to with limited suspension travel, suspension quality is imperative. Walker Evans Suspension was a big step forward. It made a bigger difference in performance than any other single product on this project, and we’d consider it the starting point in improving performance for racers and casual drivers alike. 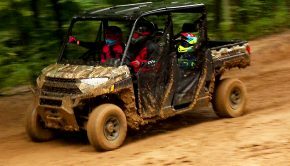 Many of today’s modern 4×4 UTV/ATV tires are designed more for aesthetics and 1000cc engines in mind with less consideration for weight. 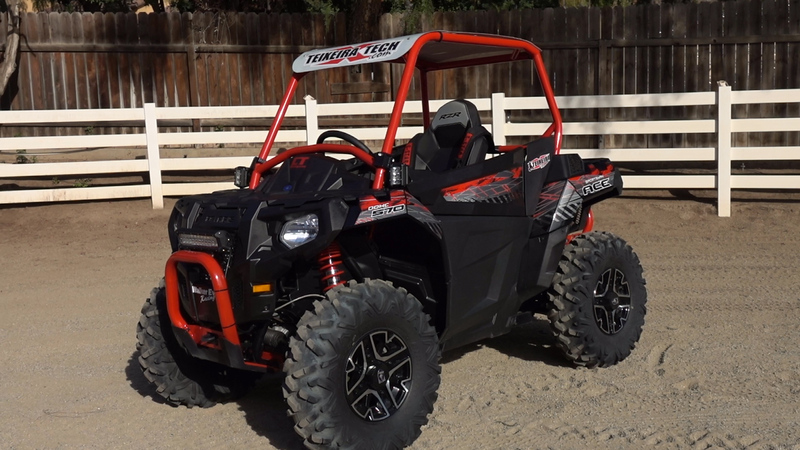 Maxxis Bighorn 2.0 tires are one of the lightest all-condition radial tires on the market making them a very good choice for smaller displacement or single-cylinder engine machines. 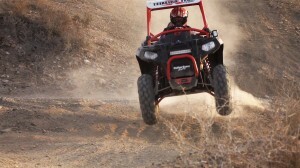 Switching from a 25 to a 26” tire allows the Ace to roll more smoothly through bumps and improves ground clearance. 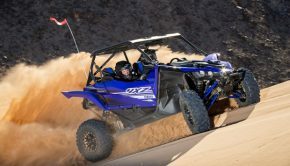 One issue we’ve found is that many of today’s modern 4×4 UTV/ATV tires are designed more for aesthetics and 1000cc engines in mind with less consideration for weight. 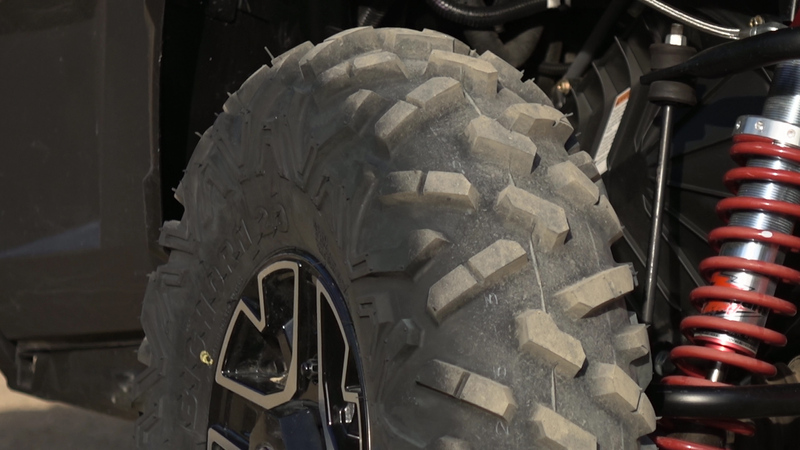 Maxxis Bighorn 2.0 tires are one of the lightest all-condition radial tires on the market making them a very good choice for smaller displacement or single-cylinder engine machines. Lighter tires also allow your suspension to perform better. We used 26×9-12 tires all the way around. The rear tires’ one-inch narrower width reduces weight and narrows the tire’s contact patch. This helped reduce rolling resistance for quicker acceleration and helped reduce traction a touch, making power slides a little easier and more predicable with the car’s narrow chassis. The 2.0s work well in the sometimes rocky, sometimes sandy soil found out West, but they really shine in the sometimes rock-hard, sometimes muddy trails found in the woods back East. Obviously, taller tires raise the machine a bit. While the Walker Evans shocks do a good job of keeping body roll in check, the car’s taller height requires you to be a bit more careful setting the car up for corners. With the 26” Bighorn 2.0 tires measuring in closer to two inches taller than stock, we installed an EPI, Sport Utility Clutch kit, calibrated for 27-28” tires. Despite utilizing light tires, we still needed to compensate for the taller gearing and loss in acceleration created by their taller size. With the 26” Bighorn 2.0 tires measuring in closer to two inches taller than stock, we installed an EPI, Sport Utility Clutch kit, calibrated for 27-28” tires. The kit uses stiffer primary and secondary springs. It’s raising the clutch engagement point from between 1,600- 1,800RPMs to 2,200RPMs, allowing the engine to build more power and torque on takeoff. It’s also designed to let the engine build more RPMs before upshifting and backshift more quickly for times when you’re off, then back, on the gas. EPI’s heavier weights allow the engine to build roughly an extra 100 to 200rpms on top, while their tapered shape is said to enhance responsiveness. 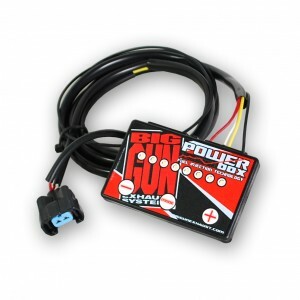 To increase power we installed a Big Gun, EVO U Series exhaust and Power Box fuel module. We went with the slip-on version to save a little cash while still enjoying the majority of the power gains. The exhaust also shaves some weight off the car. After recalibrating the clutch, the only other thing you can do to make it easier to get taller tires rolling in a hurry is add horsepower. To accomplish this, we installed a Big Gun, EVO U Series exhaust and Power Box fuel module. We went with the slip-on version to save a little cash while still enjoying the majority of the power gains. The exhaust also shaves some weight off the car. The EVO U exhaust is designed with horsepower in mind more than sound suppression, although it comes with Big Gun’s Vortex quiet insert and a spark arrestor. 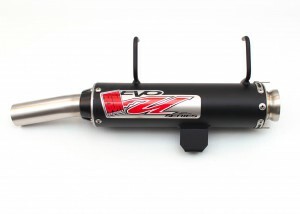 The exhaust is built in the USA and features a high-temp black, thermal coated, oval-shaped, aluminum silencer; brushed stainless steel mid pipe; and a black, powder coated end cap. Dialing in the Power Box, it was obvious that the exhaust flow is far better than stock. With convenient on-board tuning, we wound up maxing out the controllers ¾ to full throttle setting. The more fuel we added, the more power it seemed to produce. Without spending a ton of money, we were very happy with the added performance EPI and Big Gun provided. We ran taller tires and still felt like we gained performance over stock. The clutch’s faster, higher-RPM engagement makes the engine feel snappy and responsive when you hit the gas. The clutch did a great job of back shifting quickly, keeping the engine in the heart of the power getting in and out of turns. EPI’s clutch kit eliminates engine braking on the SP model, something you might miss for casual riding. For aggressive driving or racing, it is nice to be able to coast through rough trail sections without engine braking loading up your front suspension. If you want to add taller tires to your Ace, we’d consider EPI’s sport utility clutch kit a must. We ran Big Gun’s EVO U exhaust without the Vortex quiet insert to maximize power. If you like that old school, big, four-stoke thump that punches you in the chest, you’ll like this exhaust, although we’d recommend using the Vortex insert for noise sensitive areas. The 570 pulled with some authority at low to intermediate speeds. As well as the Big Gun outfitted Ace pulled with taller tires, corner exit speeds were certainly improved. With a little more fuel dialed in on the programmer, the engine ran crisp and flawlessly across the RPM range. Big Gun worked beautifully with EPI’s clutch kit, making the engine feel sporty and responsive at low to intermediate speeds. While we didn’t do a top-speed run, we strongly suspect that the car picked up a few miles per hour on top. Turning larger tires the combination of the EPI clutch, Big Gun exhaust, and Power Box exceeded our expectations. With stock tires, the power gains would have been even more impressive. 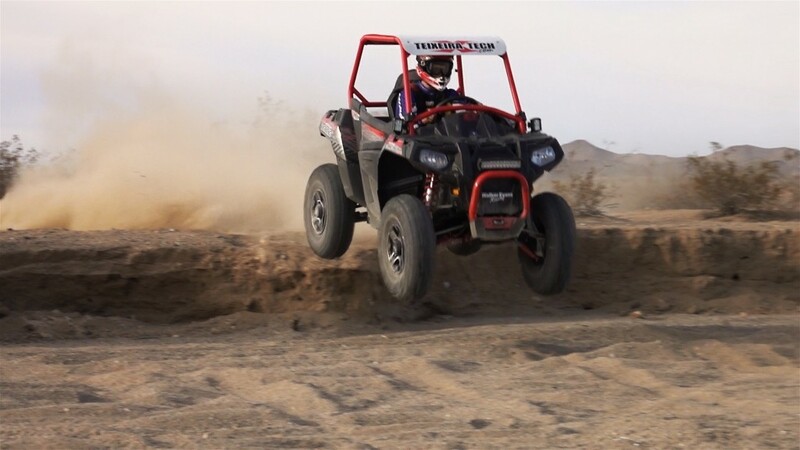 Even with a suspension upgrade, there’s enough power to get you in over your head, requiring you to know when to back off and when to gas it, as Cody learned nearly avoiding disaster! Turning larger tires the combination of the EPI clutch, Big Gun exhaust, and Power Box exceeded our expectations. With stock tires, the power gains would have been even more impressive. 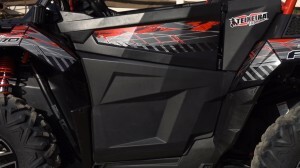 Polaris’ accessory lower door extensions help keep flying mud and splashing water out of the cockpit. Teixeira Tech’s cage and S Star’s four-point harness help protect the driver in the event of a rollover. Polaris’ accessory lower door extensions help keep flying mud and splashing water out of the cockpit. Polaris’ low profile front and rear bumpers are constructed of large diameter steel tubing and look stout. 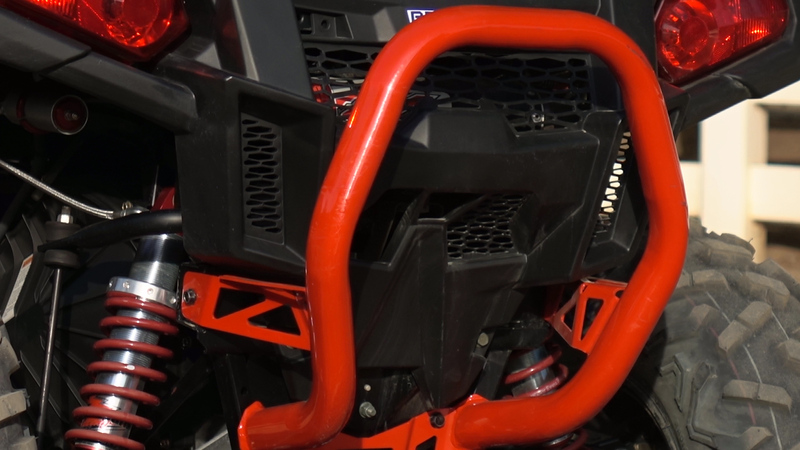 For pure racing applications, we’d opt for the added protection of Polaris’ XC bumpers, but for a go fast trail buggy, these bumpers add protection without adding as much weight. 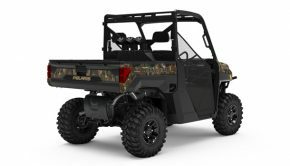 Polaris’ low profile front and rear bumpers are constructed of large diameter steel tubing and look stout. It didn’t take a ton of parts, money, or time to greatly improve the performance of the Ace for the trail. On a budget, we’d start off with the A-arms, A-arm brace, and suspension, and add the other items as our budget, or needs, allow. All of the products used in this project really exceeded our expectations making the 48” wide Ace better in almost every way.